As we head into our 28th year of Raising Pointing Labs, I think back to going on dog hunts with my father, Danny Lankas, who has always been very influential in my life. At 8 years old I had a Labrador retriever and my dad told me, “If you ever had a lab that would point, you would have the greatest dog in the world.” About 25 years ago he purchased a pointing lab and since then, labs have been our breed of choice. In the past we had also bred other dogs such as Chesapeake Bay retrievers, Springer Spaniels, Weimaraners and more. Our family does not simply just offer pointing labs for sale. We want to help your pointing lab succeed as a hunting dog by offering upland, waterfowl and companion / family training classes. As KS pointing Labrador trainers, we offer 4 weeks of intensive preseason training and at the same time, feel it’s important to also have our labs trained to be wonderful house dogs as well. Over the years we have breed some of our original stock to some new blood and then kept pups out of them for our current breeding stock. Resulting in some great and intense hunters but yet wonderful companions and family pets. If you’re trying to decide on whether or not a Lankas Lab puppy is for you, think about whether or not you plan on locking up your lab and only getting them out for bird season. If that’s the case, Lankas Labs puppies are not for you, however, if you have room in your family for another member, let’s get you started today! After training and working with different breeds, we have come to appreciate working with Labs. 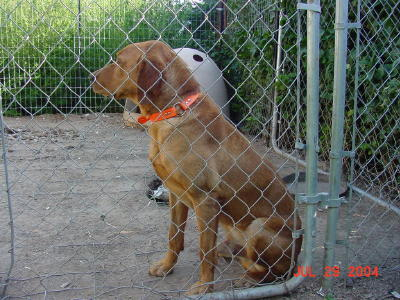 Hunting Labrador Training allows us to work with the best and most versatile dog breed. A naturally born pleaser with excellent instincts, Labrador hunting dogs use their pointing instincts as well as their retrieving skills. Pointing is great for upland game hunting while retrieving is excellent for waterfowl hunting. When they are not working, our docile Labs make excellent family companions. We offer Labrador training classes in KS for our Labrador puppies, contact us for more information on the classes available. Over the years, we have come to the conclusion that Pointing Labradors are the most versatile and all-around best breed. The pointing instinct allows them to be excellent upland game dogs; the retriever allows them to be excellent waterfowl dogs; and, most importantly, the Labrador allows them to be a very docile and excellent family or companion dog. Our Labs quarter extremely well and range out about 25 to 30 yards. Based in the Northwest Corner of Kansas in Atwood, my wife, Kim and I live with our son and daughter on a beautiful piece of property, not too far away from the Nebraska and Colorado State Lines. Our property has 13 acres of grasslands as well as a pond, making the location an excellent training spot for both pointing and retrieving. 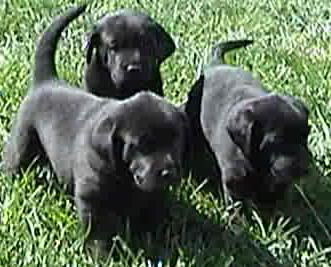 Lankas Labs has been raising pointing Labradors for over the last 19 years. Between my father and myself we have over 66 years of hunting experience. Over the years we have bred some of our original Labs with new stock and have kept some of the puppies. Those puppies have since grown and are used as our current breeding stock. 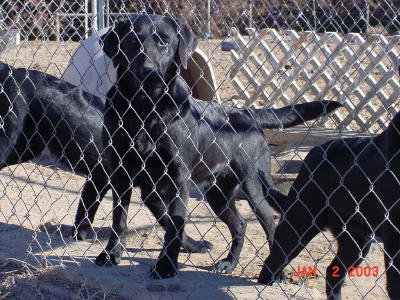 This breeding program has allowed Lankas Labs to offer quality Hunting Labrador Training Services as well as being able to breed the future generations of Lankas Labs dedicated hunting and family companions.